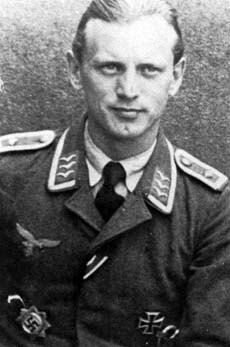 Günther Bahr was born on 18 July 1921 at Neu-Leegden in the Samland region of Ostpreußen.By 1941, Bahr had been serving as a flight instructor with Zerstörerschule 1 for a year. On 19 December 1941, he was transferred to 6./SKG 210 based on the Eastern front. 6./SKG 210 was redesignated 6./ZG 1 on 4 January 1941. Bahr claimed his first victory on 4 March 1942, when he shot down a Russian R-5 light bomber/reconnaisance biplane. At the end of March 1942, Bahr underwent conversion to night fighting. He was transferred initially to I./NJG 1 but, from 1 July 1943, served successively with 4., 8. and 12./NJG 4.  On 1 August 1943, 12./NJG 4 was redesignated 3./NJG 6. Bahr claimed his first night victory on the night of 23/24 August, when he shot down a RAF Stirling four-engine bomber near Berlin. By the end of 1943, he had increased his tally to ten, including two USAAF B-17 four-engine bombers shot down by day on 14 October and three RAF four-engine bombers shot down on the night of 20/21 December. By the end of 1944, Bahr had recorded 20 victories. Then, in three nights, Bahr claimed 15 victories, including four on each of the nights of 7/8 January 1945 and 28/29 January and seven on the night of 21/22 February. Oberfeldwebel Bahr was awarded the Ritterkreuz on 28 March for 37 victories. Bahr was transferred to 7./NJG 6 on 2 April 1945. He remained with this unit until the end of the war. Günther Bahr was credited with 37 victories. He recorded 34 victories at night, all four-engine bombers, in over 90 combat missions. Additionally, he recorded one victory by day over the Eastern front and two four-engine bombers shot down by day over the Western front.